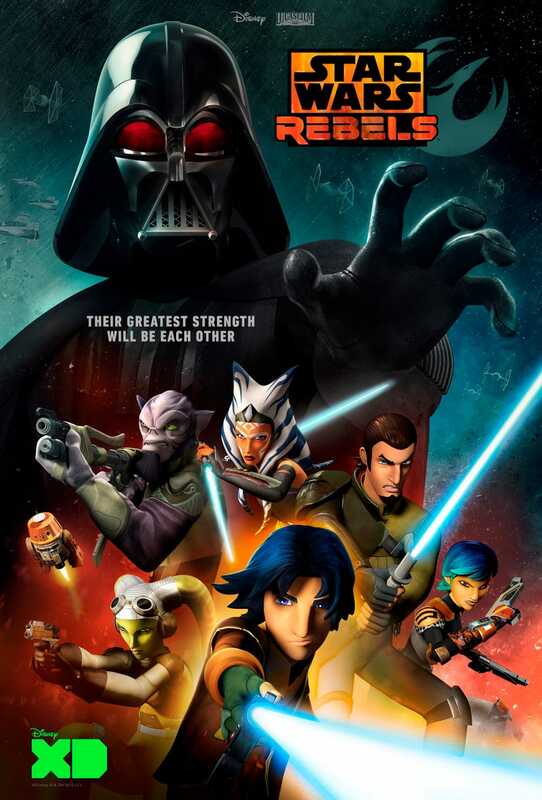 Star Wars Rebels wrapped up its 2nd season in fairly spectacular fashion. So much happened, it was truly awesome. Spoilers! Season 2 was enjoyable but I think the increase in episodes stretched everything a little thin but overall it was a really fun ride and I hope that they will be better able to pace things out in Season 3 if they keep the same number of episodes. The good far, far outweighed the bad and the season finale was something special. The two-part episode was fast paced and intense. The reintroduction of Maul was amazing, with him pretty much wiping out the Inquisitors and then blinding Kanan. The fight between Vader and Ahsoka was so satisfying. I love the end where Ahsoka can no longer deny that Vader is Anakin and she says “I’m not going to leave you again.” Maybe it was just me, but for a brief moment you saw Anakin before Vader reasserted himself. It was an immensely satisfying finale and I look forward Season 3, and Dave Filoni teased a huge announcement for Star Wars Celebration this summer in the Rebel Recon episode for the finale. I was worried that they would tie things up neatly in service to continuity, but the ending left a lot of questions and I don’t know where they are going and how they get there. Just good stuff and excited to see what comes next.